Erase items from your Trash. Individually. -- Remove Files (Icons Mode). 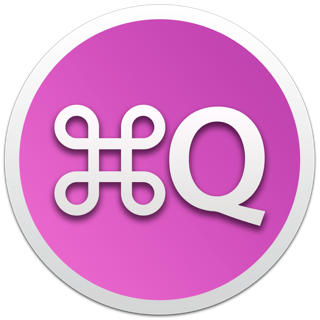 -- Remove Folders (Icons Mode). -- Remove all items (List Mode). -- Repair System Trash for TimeMachine issues. - Bug correction on "Launch at startup" buttons. I was hoping this app would provide the ability to free up space on USB Drives after deleting some files on the USB Drive without having to Empty Trash on entire system. 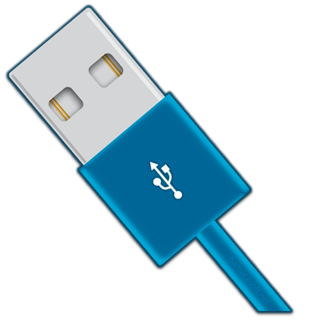 Those files originating from the USB Flash Drive simply don’t appear in the OneTrash display. 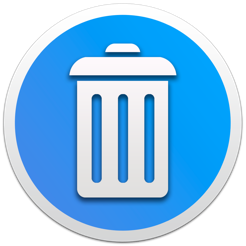 The ability to selectively delete files from the trash rather than have it on an all-or-nothing basis should already be part of the Mac OS. Windows has had it for years. So thanks, One Trash - we nneded this - but I'd love to see you take it the rest of the way. Then I would rate it as a 5-star primo power tool. The title says it all, if you get it for 1 dollar during a sale, jump! For 10, not so much. What does this app do? Delete your documents one by one! This is an REALLY useful app. 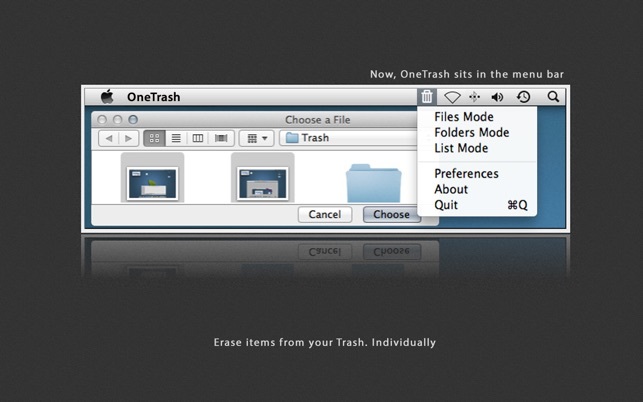 You don't even have to open your trash folder to use it. 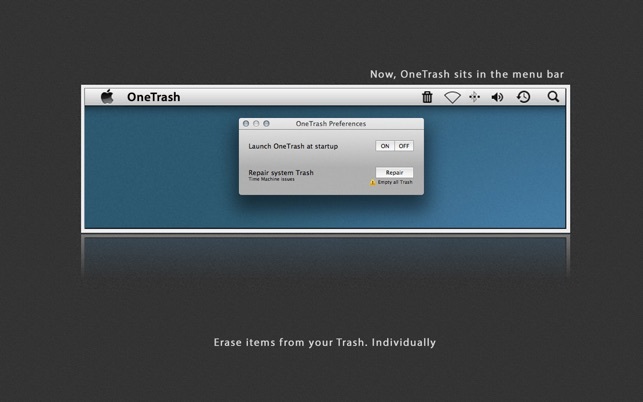 Just open OneTrash, click "OneTrash", then delete away! HOWEVER, this epic app gets 2 stars. WHY? This dev wants to rob people by selling a UTILITY app like this that takes a few seconds to use for $10. Ten? Yes, ten. Wow. Go get Angry Birds, BOTH apps. That's a much better use of your ten bucks. And another reason why it's only getting 2 stars is because there's nothing to update! For games, you can put new levels in your app, but for apps like these, there's NOTHING to update! In 1.3, the dev said "Wow! New version with more features!" I bet that all they did was fix a spelling error or two. You can't upgrade this app! Like Longhorn said below, we need to take this app the rest of the way for 5 stars. How?